Thursday, August 25 at 5:00pm | The Italian Research Seminar: “Sandro Botticelli on Facing in Dante’s Paradiso” – Heather Webb (Cambridge). Sponsored by Italian Studies at Notre Dame. In other news, the July spotlight exhibit featuring a recently acquired Piranesi volume will soon be changed out for the August spotlight exhibit highlighting the Elisabeth Markstein Archive. 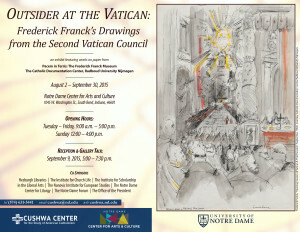 The spring and summer exhibit Vestigia Vaticana will remain on display through August 15. After that, the fall exhibit will be installed: Ingenious Exercises: Print and Physical Culture in Early Modern Europe, 1500-1800. Watch for news about a new Fall semester spotlight exhibit soon! 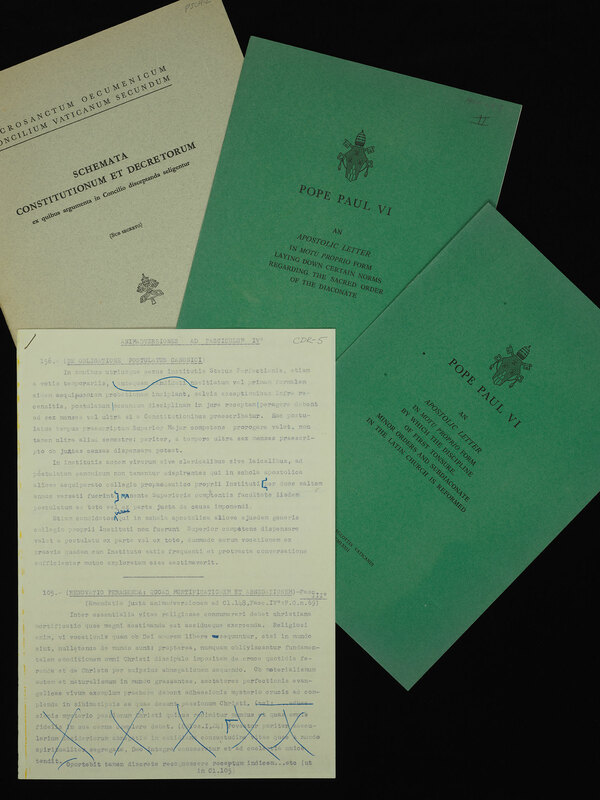 The new summer exhibit, Vestigia Vaticana: An exhibition of papal manuscripts, books and more in conjunction with the conference “The Promise of the Vatican Library” at the University of Notre Dame, opens on May 5 and will run through the summer. Rare Books and Special Collections will be open regular 9-5 hours during the summer — our Thursday evening extended hours ended after April 28th. RBSC will be closed for Memorial Day, May 30th, and the Fourth of July. Wednesday, April 6th at 6:00pm | One Book, One Michiana: “Spirits of Another Sort: Imagining Faeries in A Midsummer Night’s Dream” – Jesse Lander (Notre Dame). Thursday, April 7th at 5:00pm |”Lev Loseff: Poet, Son and Exile” – Barry P. Scherr (Dartmouth) — Sponsored by the Program in Russian and East European Studies and Hesburgh Libraries. Thursday, April 14th at 4:30pm | The Italian Research Seminar: “Boccaccio and Petrarch on Poetry: Genealogy of the Pagan Gods and Invectives against the Physician” by David Lummus (Stanford) — Sponsored by Italian Studies at Notre Dame. Thursday, March 17th at 4:30pm | The Italian Research Seminar: “Toxic Tales: Narrating Dioxin in Contemporary Italy” by Monica Seger (William and Mary) — Sponsored by Italian Studies at Notre Dame. Rare Books and Special Collections will be open regular 9-5 hours during Notre Dame’s Spring Break (March 7-11). Thursday, February 25th at 4:30pm |The Italian Research Seminar: Graduate Student Presentations —Sponsored by Italian Studies at Notre Dame. Easter 1916: The Irish Rebellion | 2016 marks the centenary of the Easter Rising, the rebellion that led to the eventual establishment of an Irish Free State. At the Hesburgh Libraries Rare Books and Special Collections Department, a special exhibit to mark this centenary will be on display from February 12th until April 28th. Please note also that Rare Books and Special Collections will be closing early at 2:00pm on Friday, February 5th, for a departmental event. Both of the November 5th events are co-sponsored by the Keough-Naughton Institute for Irish Studies and the Brian J. Logue Fund for Northern Ireland. 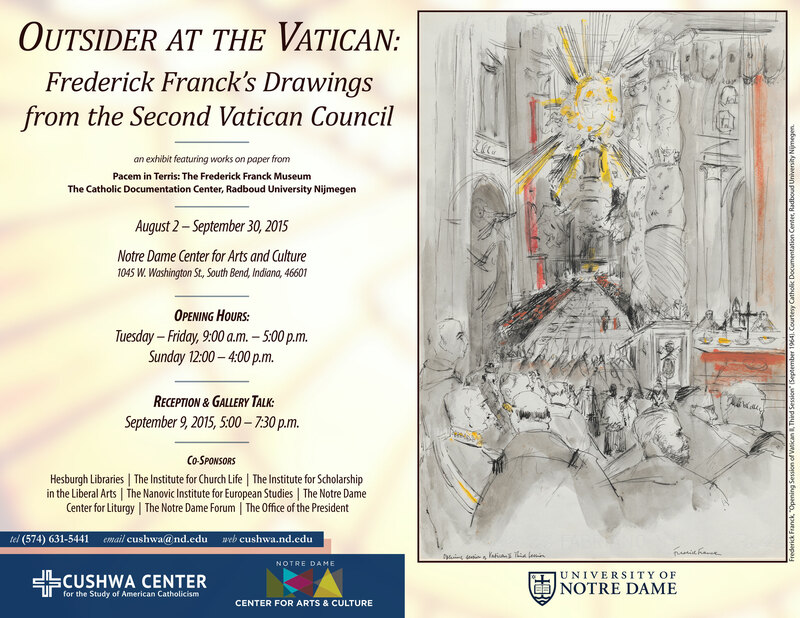 Co-sponsored by the William & Katherine Devers Program in Dante Studies and Italian Studies at Notre Dame. Rare Books and Special Collections will be closed for Thanksgiving Break (November 26-27) and for Christmas and New Year’s Break (December 24, 2015, through January 3, 2016). We remain open for our regular hours during Reading Days and Exams, and welcome those looking for a quiet place to study. October 8th at 4:30pm | “Dante’s Other Works” 2015: Questio de aqua et terra – Theodore J. Cachey, Jr. (Notre Dame), and Authenticity and the other works – Albert R. Ascoli (Berkeley) — Co-sponsored by the William & Katherine Devers Program in Dante Studies and Italian Studies at Notre Dame. October 29 at 4:30pm | Research Seminar: “Italian Cinemas/Italian Histories” – Alan O’Leary (University of Leeds) — Sponsored by Italian Studies at Notre Dame. Co-sponsored by the Keough-Naughton Institute for Irish Studies and the Brian J. Logue Fund for Northern Ireland.